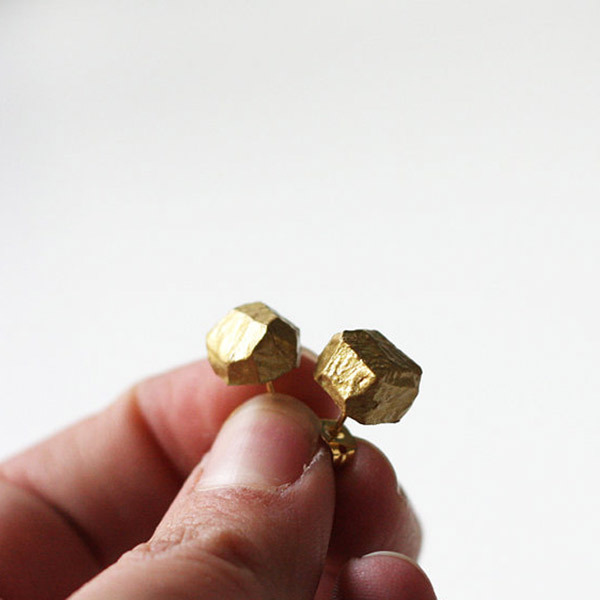 How bout this SWEET lil special edition pair of geo earrings by A Merry Mishap? You can get married in em! Has anyone bought from this shop before? Her stuff looks rad, but it's made from polymer clay and I'm worried it will look crafty in person. I can remember the little beads I made with that stuff when I was a kid and then I get nervous about wearing it as serious jewelry. LOVE! I'm already married, so I'd wear 'em anywhere!